Wondering what to wear to the Cup this year? 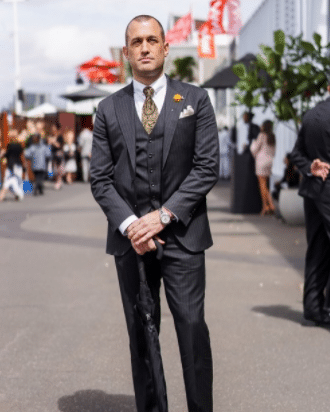 We’ve made this guide to the Melbourne Cup dress code so you can dress to impress. We tend to think of a day at the races as an elegant affair. But, there is no dress code for General Admission at Flemington. Actually, that does explain A LOT! Step inside the Members’ Enclosure and it’s a very different story. 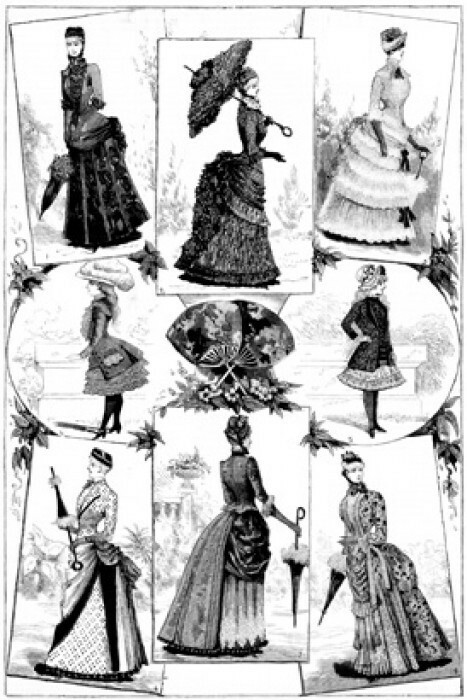 Going to the races has always been a chance for the well-to-do to parade in all their finery. When the Melbourne Cup was first run back in 1861 this meant frock coats and hats for the gentlemen, and bonnets and bustles for the ladies. Parading the latest in fashion became more egalitarian with the introduction of Fashions on the Field in 1962. The competition included categories for outfits that had cost £30 and under, and £50 and over. This kept the Cup’s fashionable traditions alive across economic and societal boundaries. 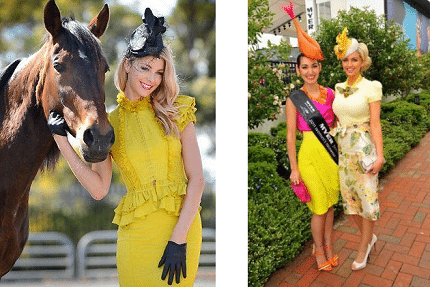 Alongside these interventions by the Victorian Racing Club (VRC), dress standards for the Spring Racing Carnival continued to evolve organically. Most people have heard of the race day ‘rules’. 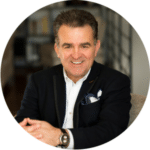 The Melbourne Cup is all about colour, the Derby Day theme is black and white, Oaks Day is Ladies Day, and Stakes day is more relaxed and family focused. These codes are celebrated and encouraged, and this all adds to the sense of occasion. But they are not actually official codes at all. For example, Derby Day’s signature theme appears to have evolved from a competition in 1960. Sponsored by whisky-maker James Buchanan and Co. the competition offered a prize for the best black and white ensemble. Or the black and white trend might have continued in imitation of the racegoers of the 1964 film My Fair Lady. Either way, the code is not a VRC standard and is not enforced by any official body. It is enforced only by our collective expectations. Another interesting evolution in VRC tradition and its effect on the Melbourne Cup dress code is that of the Birdcage. Flemington’s first Birdcage was the stabling area, with a barrier placed between horses and spectators. There was a charge for admission to prevent overcrowding, and this had an unintended side effect. The Birdcage suddenly became a more exclusive area and the place for racegoers (who could afford the fee) to see and be seen. Changes to the Melbourne Cup dress code have included welcoming overseas visitors “to wear the formal National Dress of their country.” A necessary change for a race long celebrated as an international event. This consideration introduces multicultural elegance. It also means the VRC doesn’t force all men to wear suits and women to wear dresses. This makes sense when international visitors come from countries with different formal dress. 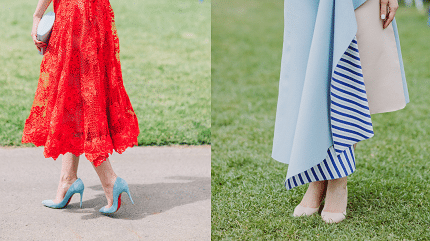 Instead of specifying hem length for women, the VRC bans casual attire. It also allows women to wear pants, though jeans, jodhpurs, tracksuits, leather pants, untailored pants, and shorts are forbidden. This strikes the balance between freedom of expression and maintaining the high standards of the event. Why have a Members’ dress code? 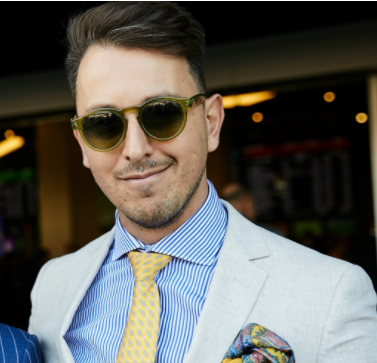 Like many exclusive clubs in Melbourne, the VRC continues to uphold its dress code. Despite some protest. It is also in part due to the high standards of enforced elegance that celebrities continue to attend the Cup. Yes, they are paid to be there, but the Cup is locked in a prestigious cycle. It is the place to be seen, and so people who are someone, are happy to be seen there. And because these somebodies are there, it remains the place to be seen. The Members’ dress code maintains a certain standard and gives a sense of occasion. This means the Cup’s reputation for elegance has remained since its earliest days, in a world where anything remaining the same for very long is rare. The Victorian Racing Club (VRC) dress code is strictly enforced for all members’ areas. This includes the Birdcage and Members’ Carparks. 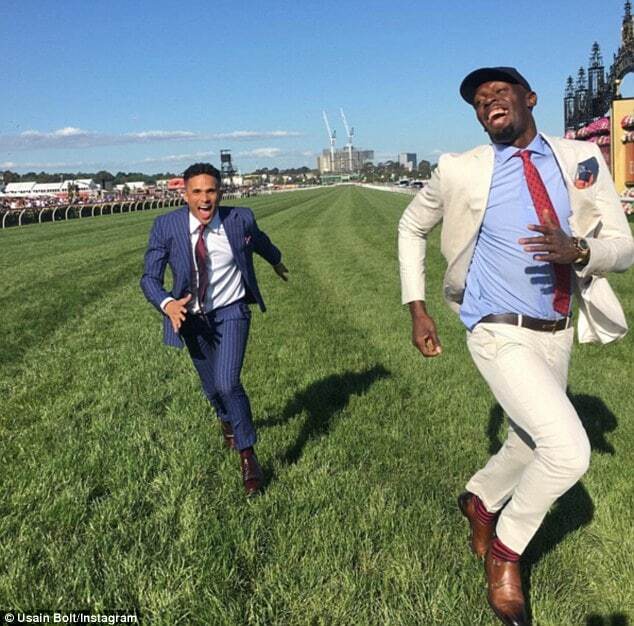 When Jamaican sprinter Usain Bolt attended Oaks Day at Flemington in 2016 he followed the race day dress code to perfection. Bolt donned a promotional cap for his mock race against friend John Steffensen. 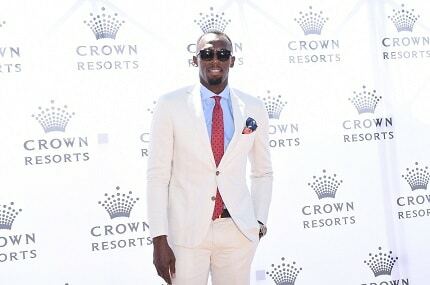 Bolt then removed his cap for time in the Crown marquee, in keeping with the members’ enclosure dress regulations saying men cannot wear peaked caps or beanies. Most of the VRC rules are aimed at preventing a look that is too casual or revealing. Interestingly, there is one rule that prevents overdressing. Cravats are not considered acceptable attire. Sorry Matt Preston. 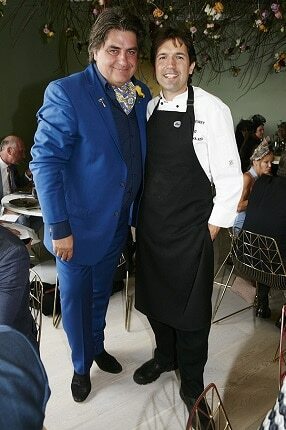 Actually, I’m pretty sure officials turn a blind eye when it comes to Matt Preston’s signature style. He’s been seen in the Members’ Enclosure before, with some very colourful cravats. Preston is a celebrity Masterchef brand, after all. But Preston wouldn’t be the only celebrity allowed a little leeway when it comes to race day style rules. Of course, that just covers the restrictions for VRC Members and guests. What about the implied Melbourne Cup dress code for us General Admission racegoers? There was once an expectation that anyone who was anyone would adhere to certain standards. This meant a suit and tie for gentlemen, and a dress of respectable length, accompanied by a hat, for the ladies. This all changed in 1965 when supermodel Jean Shrimpton arrived at the Melbourne Cup wearing a mini-dress. And, shockingly, she wore no stockings, gloves or hat to complete the outfit. By the next year, all the bright young things were copying Shrimpton’s look – causing the longer dresses to look dowdy and outdated by comparison. And so we have arrived at a time when even the unspoken rules no longer apply…. But that doesn’t mean you should wear your onesie. Hats or fascinators are still customary for the ladies, and the official flower for ‘the race that stops the nation’ is a yellow rose. 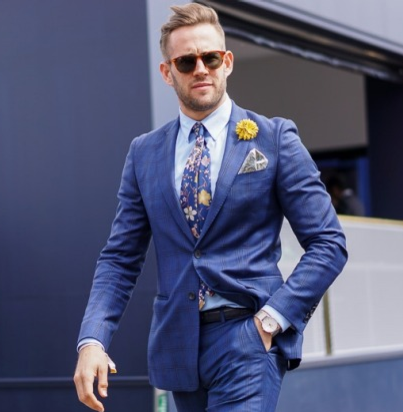 So whether your aim is to meet the Melbourne Cup dress code for the Members’ areas, or you just want to look stylish on the day, here are some tips on what to wear. 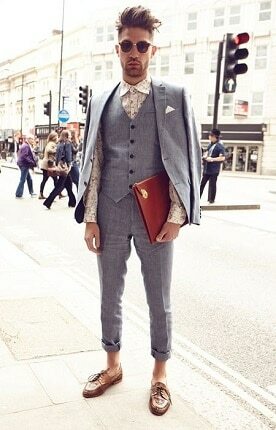 Tailored and semi tailored suits are your opportunity to display your excellent sense of sartorialism. Add a yellow rose and you are ready for the Cup. Vests with jackets provide a more relaxed look acceptable for the Members’ enclosure. Sports jackets worn with tailored trousers (including dress chinos) are a perfect look for the grounds. But you’ll need to add a tie if you’re heading to the Members’ sections. 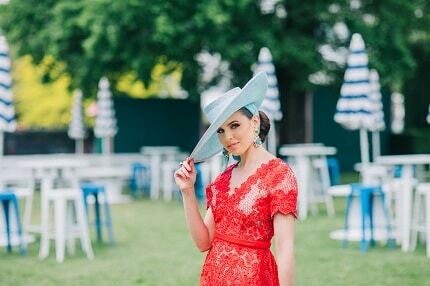 Whilst other days in the Spring Racing calendar are more sedate, Cup Day is a day for colour! So make sure you have some fun with a perfectly co-ordinated shirt. Lift your outfit with well co-ordinated, statement accessories. Think ties, bowties, and pocket handkerchiefs in matching or complementary colours. Of course, no outfit is complete without the perfect watch. You can’t go wrong with a pair of elegant leather dress shoes (or non-leather for the vegans). … prepare for the unpredictable Melbourne weather. Combine a tailored jacket with a skirt or pants. Co-ordinate a blouse with the perfect skirt and accessories. You might just be in the running to win Fashions on the Field. You can choose accessories in contrasting colours. As long as they complement and complete your outfit. 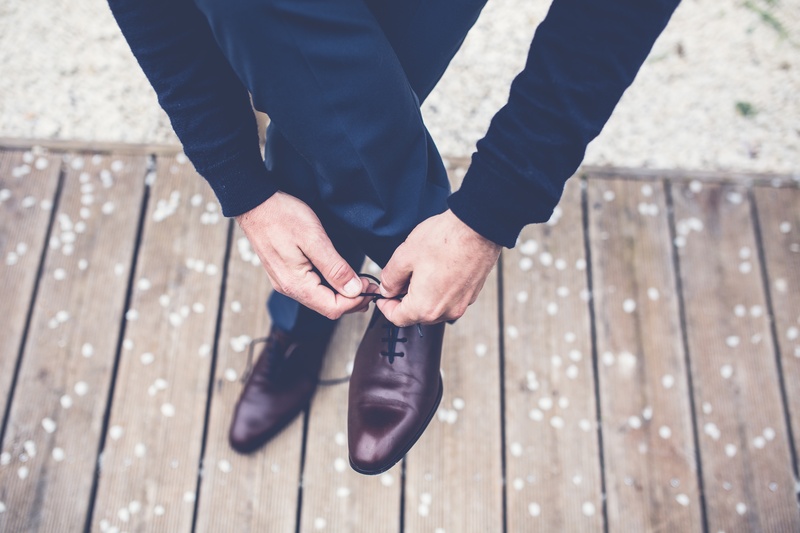 Of course your shoes, like the rest of your accessories, will depend on the outfit you wear. But you really can’t go wrong with a pair of leather heels. There are some quality vegan alternatives out there as well. Just avoid stilettos – unless it is your personal mission to aerate the turf. If you find the perfect statement shoes then they can really make an outfit. Otherwise, opt for something subtle and timeless to allow the rest of your outfit to shine. And choose flats (or bring them as back-up) if you don’t think you’ll last the day in heels. Ladies and Gentlemen – think classic. 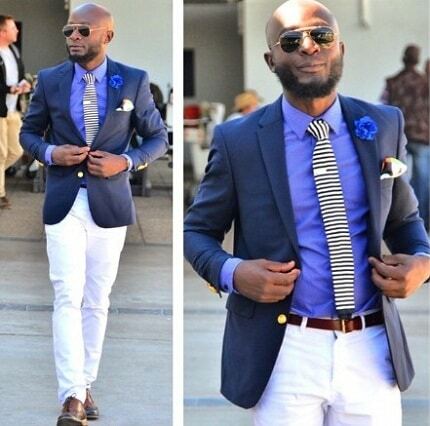 Keep it simple and source an outfit that is made from quality fabric. Preferably a natural fibre like wool, silk, linen or cotton. Choose something that fits you perfectly, and that you feel comfortable wearing. Having quality garments tailored proves a far better investment in the long run than owning a wardrobe full of cheap clothes that aren’t flattering and don’t fit. You can look your best on any budget with a little planning and smart, careful, investment. And remember that this is Melbourne, the style capital of Australasia. It’s also the unpredictable weather capital. It may be all clear blue skies for those first days of November, but come Cup Day, the weather often decides to put on a show. The ‘drowned rat’ look is rarely in fashion, so plan ahead. Check the weather forecast, and maybe take an umbrella (a stylish one of course) just in case.